Copper #8 round wire and 18 twist wire men's bracelet. 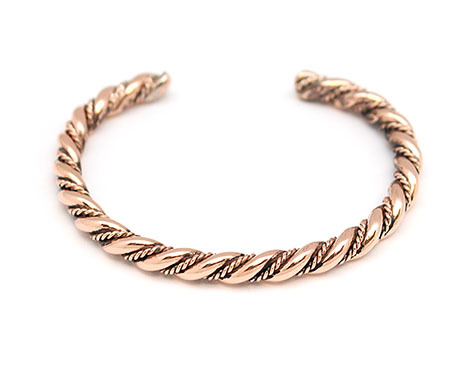 It measures approximately 1/4" wide and are in a size 6 1/2" wrist size with a 1" opening. It is Navajo hand made by Shirley Brown.